In Monday’s match, New Haven lost both sets (25-23, 25-19, committing numerous serving and serve receive errors, which was a major concern Coach Jaime Hoener had after their home opener. 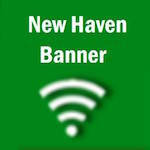 In the first set on Tuesday verse Belle New Haven pulled away late in the set after Belle had erased a six-point deficient when Kelsey Peacut smashed three straight kills followed by a game ending kill by Taylor Goad as the shamrocks took the first set 25-18. Emily Kallmeyer avoids the block knocking down one of her four kills in the game. Peacut got New Haven going to begin the second set by serving seven straight, leading that led to one kill by Rachel Steinhoff followed by Emily Kallmeyer recording one of her seven kills on the night, and back-to-back kills by Taylor Covington; giving the rocks an 11-2 lead. Belle never recovered after New Haven pounced on them from the get go. New Haven finished off the Tigers with nine-point burst, winning their fourth set of the year and second match. After Tuesday night’s match New Haven will not play again until Tues., Sept. 4 when they will host Chamois followed by Montgomery City the following night before they travel to Cape Girardeau, Mo. for The Annual SEMO Volleyball Spike tournament Sept. 7th and 8th. Pecaut finished with five aces and six kills, also serving 11 points. Sophomore Taylor Covington recorded career high five kills on eight attempts in just her third game at the varsity level.